California is at the forefront of electricity industry restructuring, and Resource Decisions is leading the way with innovative analysis. 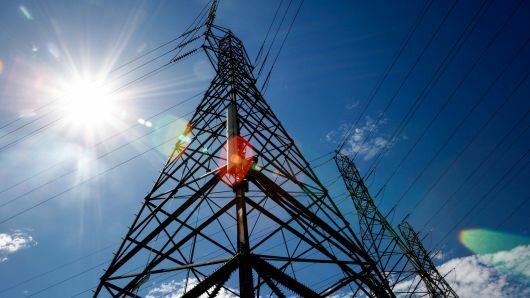 While other consultants were speculating about electricity rate impacts, Resource Decisions produced sound quantitative electricity rate forecasts based on careful analysis of stranded assets, known fixed costs of transmission and distribution and realistic competitive scenario modeling. Working with both public clients (the California Energy Commission) and private clients (Western States Petroleum Association) we have examined the implications of alternitives. In so doing we have not only produced rate forecasts but have helped to guide the debate on restructuring policies. Many consulting firms handle routine socioeconomic impact analysis. But resource developments and changes in resource policies affect regions as well as isolated project areas. Resource Decisions is capable of addressing the regional economic impacts associated with major changes in an area’s infrastructure that result from large resource developments or policy changes. Resource Decisions uses regional modeling tools (such as input-output analysis and econometric modeling) to evaluate the effects of resource developments or environmental policies on regional economies and their direct and indirect earnings and employment. Resource valuation is the core of much of Resource Desicion’s work. Feasibility studies are used to determine the value and rates of return on planned natural resource investments. Water, minerals, energy, and agricultural developments are evaluated using sound economic and financial principles coupled with understanding of the technical factors involved. Non-market resources such as recreational and wildlife uses presents special valuation challenges because the market system does not provide direct monetary values. In these cases Resource Decisions utilizes a range of specialized methods such as contingent valuation, travel cost methods, and hedonic valuation to determine non-market values.